Parisians may grumble about them, but then tourists grumble about Parisians, so it’s only fair! 😉 But I’ll let you in on a little secret… Paris loves its tourists! Really??? you ask? Well, it’s only because they bring an enourmous amount of business to a country that is leaning more and more towards a services industry. Besides luxury, tourism is one of France’s big resources. +70% of the active populatin works in the service industry, which includes everything related to tourism. And Paris, being the most visited city in the world, really needs to open up its heart to tourists. We need them. An article was floating around facebook recently, that touched on this subject of the love/hate relationship between Parisians and tourists. Really it’s a co-dependant relationship. Parisians need the tourists to bring business to their city, and tourists need Parisians to perpetuate the attractiveness of the most beautiful city in the world. Paris and Parisians have myth status, seriously, and that is half the draw to those who dream of Paris. The other half is a giant sparkling tower! 🙂 Right?!?! Fleur Pellerin, a member of the French government, and one whom I admire, is currently the state « secretary » (that’s what they call it in French) in charge of external commerce, the development of tourism and French citizens abroad. She has been speaking in the press about how to boost tourism in France recently, saying that we need « to wake up the sleeping beauty », and not just rely only on the draw of French monuments. She is urging tourism and service industry providers to adapt to the needs of the clients, in order to remain more attractive than our neighboring competition (Italy, Spain, England etc…) I agree with her, to a point. I do think it is important to offer excellent service to the guests, yes they are guests, in our country, but I DO NOT think we should do so to the detriment of the French culture. We DO NOT need to americanize, russianize, chinese-ify etc everything just to make tourists feel at home. Because, well, they aren’t home. They are in France, and there are certain things about French culture that remain a constant, and believe it or not, can even be a draw for tourists. We do need to modernize and adapt to needs of tourists, such as improving the offer for wifi and internet connection in our various establishments, giving better more friendly service, and making logistical information readily available and easy to understand for foreigners… for starters. We DON’T need any more Starbucks cafés, and we DON’T need street signs in Chinese. For example. Some of the ways that Paris is trying to get a personality face-lift for the benefit of tourists is through volunteer organizations like Global Greeter. French people act as the kind and helpful « face » of France when you arrive or during your stay. 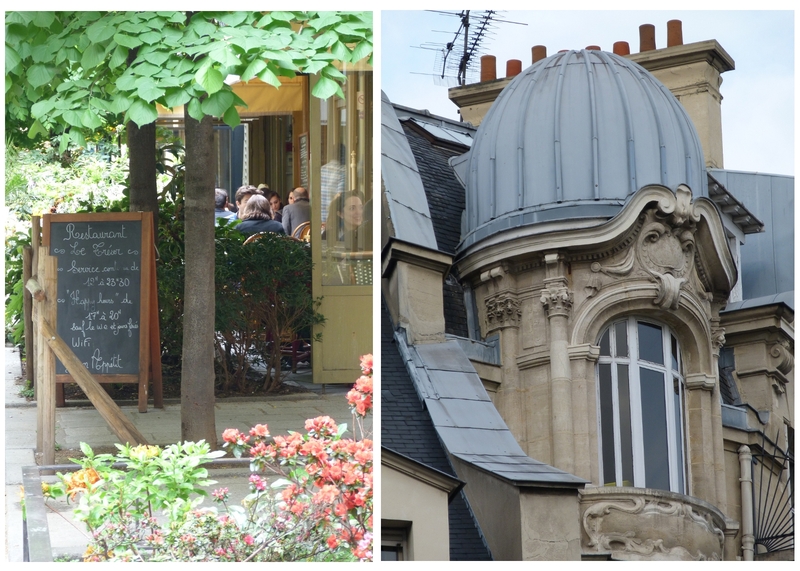 The Parisian network : Paris Greeters, will show you around parts of Paris in informal walking tours. These are free. Isn’t that fantastic!?! But besides the Paris greeters, here is another free option : Visit the beautiful Cathedral of Notre Dame de Paris, for free, and in English! You will learn about the architecture, the sculptures, the art and more that decorate this most incredible edifice. These visits are offered by the cathedral, not the city of Paris. But the result is the same! Tourists, happy; history, learned. Guided visits – free of charge : Wednesday 2.00 pm ; Thursday 2.00 pm ; Saturday 2.30 pm Get there early as you will not be the only ones taking advantage of this treat. In the Summer of 2013 Paris launched a guide for tourism industry participants to be more versed in how to communicate with tourists and understand a little about their culture in addition to the differences that are so aparant when in such close proximity. And its aim overall is to improve the quality of our « guests » experience here. The site, called Do You Speak Touriste? got a great write up on The Local. It’s full of information, videos and even a link to buy their guide in book form (to leave in the break room at local hotels and commerces I assume?!?). It’s a charming way to convey a serious need. An attitude change towards the ever-growing cash cow that is the tourism clientèle. Another fun service that I like, is not free but it is only the price of a bus ride, is the Balabus bus that takes you through the different sights of the city. This is a commuter bus, but one whose line intentionally goes by a myriad of main sights in Paris. Both tourists and Parisians alike can use and share this bus line, and marvel together at the wonders of Paris. But really, Parisians, all you actually need in order to handle the tourists is the easiest thing of all : a smile! Let us know what your experience was like visiting the city of lights. Polite service? Poor service? Fun service!?! And share one of the images here on Pinterest and tag @PreteMoiParis to spread the word that Paris is working towards a better, more welcoming atmosphere! I have yet to visit Paris, but it is on the list of must see cities. My sister and I visited Italy, and about 2 months before, we made sure to learn key phrases. While we were visiting, we tried to speak the language, and everyone was so nice. All of the Italians we came in contact with knew we were trying, and were so accommodating. We also made sure not to be one of those « Ugly American » tourists that are loud and ostentatious. I believe tourists need to do their homework on the country they are visiting, and make an attempt to learn some of the language. I think that the France24 article briefly touched upon this issue, and also if tourists were a bit more considerate maybe this wouldn’t even be an issue. Thank you audiesalchemy for a great comment! I agree with you for sure. I’ve been to Paris many times but speak only a very few French words/phrases. I’ve found that if I always start speaking in my very limited French and am very polite that almost everyone is polite back to me. I also keep my voice down, especially in restaurants, to avoid the « ugly American » act. I LOVE PARIS! J’adore !! Thank you for your charming — yet thought-provoking — post on a topic that is dear to my heart. I’ve seen first-hand how tourism has distorted some cultures, and honestly, I sometimes worry that the same thing may happen to Paris. But the final image you included (« We can speak English, wiz a French axcent ») put me at ease: The French may be flexible enough to welcome the horde of invading tourists, but they’ll never « sell out » their culture. PS: Thanks for the tip on the Balabus. I’ve not yet taken it, so I’ll add it to the list for my next visit. I enjoyed reading your thoughts on this – this is something I’ve been recently thinking about too! I definitely agree that it’s a two-way relationship that both parties need to work on to meet halfway. I think tourists can be quick to think that Parisians are rude or that service is slow without trying to understand cultural norms here – like it is impolite not to greet someone with « Bonjour » and that service staff in restaurants don’t hover. Love the last picture in this post – so cute! I discovered that you must say « Bonjour » before asking if they have cork screws. Cyn, LOL! It’s nice to say bonjour before approaching someone with a question. A bonjour first, is like acknowledging that the person exists first as a human being, and second as a service provider whatever other role they have. Its « politesse ».